Spring is the season of cleansing. Mother Nature does it with rain by washing away the remnants of seasons past, and we do it with foods and herbs. According to Chinese Medicine, the organ associated with spring is the liver. It is during this season that we need to cleanse our liver and our blood to revitalize ourselves, shaking off the sluggishness of winter. It is no coincidence that spring seasonal foods are also excellent at detoxifying the body, as they contain phytochemicals that help the body remove toxins. Our diets tend to be the lightest this time of the year, incorporating raw and sprouted foods. Cooking techniques are simple, shorter and done at higher temperatures, using techniques such as sautéing, steaming or quick simmering. All of this helps our body to cleanse and detox. Three main organs that help remove toxins from our body are the liver, the kidney and the colon. The following spring foods support these organs. Onion family: Spring onions, garlic and chives are quintessential spring foods. They work specifically with the liver in phases I and II of detoxification. During phase I, phytochemicals found in the onion family inhibit enzymes that activate toxins and turn them into carcinogens (cancer causing agents). During phase II, they activate enzymes that promote the elimination of drugs, toxins and carcinogens from the body. Brassica family: Broccoli, cabbage, bok choy, radishes, turnips and kale are a few examples of spring vegetables found in the Brassica family. This family of vegetables contains high levels of glucosinolates, which create metabolites that help enhance the elimination of toxins before they can damage the body. Beets and chard: These two vegetables come from the same plant family and both contain betalains. These phytochemicals are a class of red and yellow pigments. Their detoxing capabilities also function during phase I. Just like the onion family, the betalains will inhibit enzymes that activate toxins. 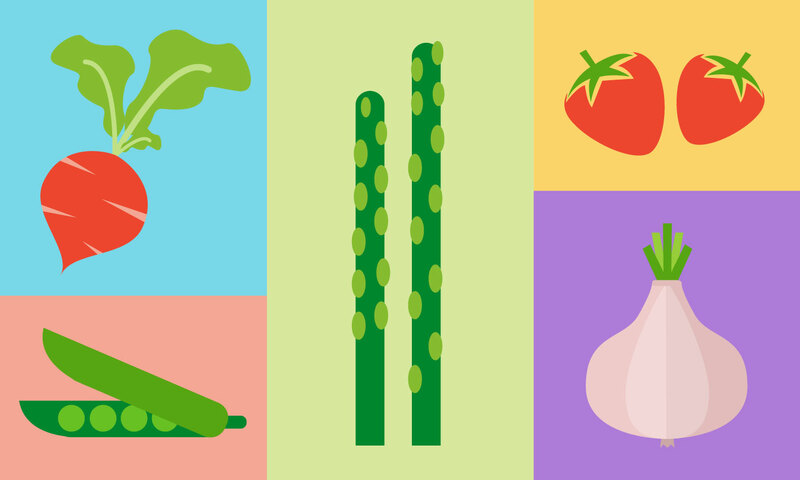 Fiber: Plant foods contain fiber, so all spring fruits and vegetables are a great source of this nutrient. Fiber is resistant to digestion and arrives in the colon intact. This provides bulk and signals the colon to empty. Fiber helps to decrease the transit time of digested food in the colon. The less time digested food and toxins sit in the colon, the less likely they will cause damage to the colon. Some fibers are soluble and form viscous gels. These gels can easily bind toxins and remove them from the body. Preheat oven to 350 degrees. Place beets in a baking dish large enough to hold them in a single layer. Add enough water to cover the beets three quarters of the way up their sides. Sprinkle with salt and drizzle with olive oil. Cover with foil and bake until tender, 1 hour. Transfer beets to a cutting board and allow to cool. Remove skins, cut into 1-inch wedges. Arrange beets on a serving platter. Place the broccoli in a steaming basket over boiling water, cover, and steam for 3 minutes. Remove the lid for a moment, then cook, partially covered, until the stems are tender-firm, 8 to 10 minutes. Remove from heat and transfer to the serving platter with the beets. Combine vinegar and minced shallots in a small bowl and allow to sit for at least 15 minutes. Stir in mustard and a pinch of salt and pepper then whisk in the extra-virgin olive oil. Pour dressing over the beets and broccoli and crumble the feta cheese over the top. Click below to download a pdf of the April Healthy Times Newsletter!